Cinnabon has a relatively small menu and the Cinnabon secret menu is even smaller. There are a few worthwhile items on here though, and if you’re a big lover of these “World Famous Rolls”, then you’ll want to make sure that you don’t miss out on them. 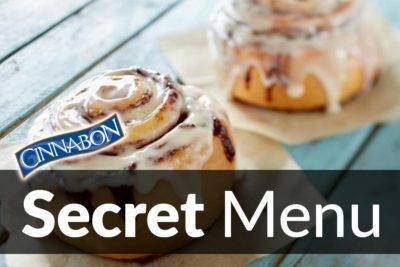 So, let’s take a look at how you can hack the Cinnabon secret menu and indulge in some unexpected treats. What is on the Cinnabon Secret Menu? 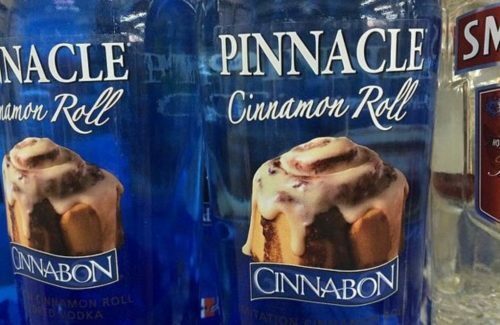 Say this with me: “Cinnabon Vodka“. Just those two words should be enough to get your tastebuds tingling. This is the ultimate combination of alcohol and Cinnabon, two of the best things ever placed on this earth. Cinnabon Vodka was created by Pinnacle They have concocted some mind-blowing vodkas flavors in the past. This sugary, spicy treat was designed to taste just like a Cinnamon Roll from Cinnabon, and it really does. So, if you love vodka and Cinnabon, then head for your local grocery store and see if you can dig this one out. Okay, so we’re cheating a little. You can’t actually order this at Cinnabon (which is a shame). So, it’s technically not a secret menu item. But it is a secret, as very few fans of this brand seem to know about it. As a result, we have declared it our personal mission to tell the world all about this delicious, sweet, cinnamon-infused vodka.